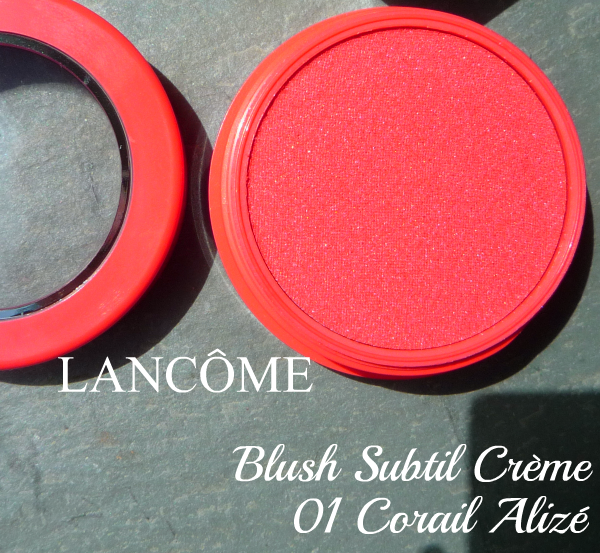 For this 3rd edition of our new French Friday series, I've decided to show you a new product, Lancôme Blush Subtil Crème in Corail Alizé, from the brand's Summer 2015 collection named French Paradise. 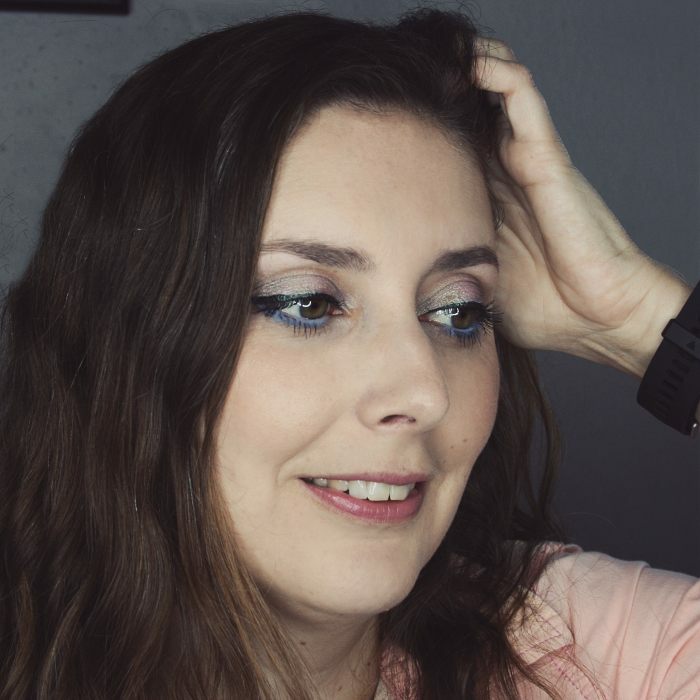 The collection has a classic summery theme with bronze, golden and blue shades for the eyes and nails, and a lot of coral for the cheeks and lips. Wait somebody said coral? Where?? Yes I have a, ahem, moderate, coral obsession. Funny because coral was not a shade I would have considered wearing just a few years ago. Anyways, I'm also a cream blush addict, so when I strolled around the department store and saw these new little round blush pots at the Lancôme counter, I naturally decided to stop and swatch them. 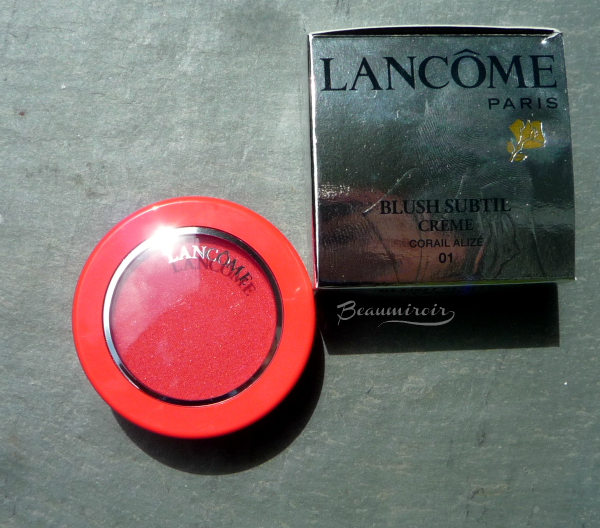 There are 3 shades of this new Blush Subtil Crème, but 03 Rouge Mistral is exclusive to lancome.com. 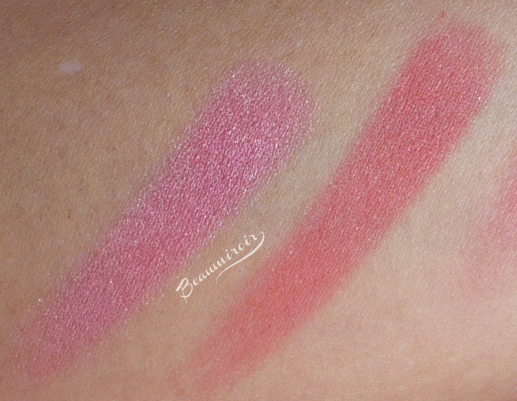 So I swatched the other 2, 02 Brise Rosée and 01 Corail Alizé (misspelled Coral on Lancôme's and most retailers' websites. Alizé, mistral and brise are all words that refer to wind), and instantly fell in love with the latter. I was pleasantly surprised to discover that it is a true coral shade, as in reddish with a hint of pink. Most shades described as "coral" these days are in fact peachy, as in a mix of pink and orange, and true corals are, in my experience, harder to come by. A quick warning here: my camera insisted on making the pot look orange. I adjusted hue, temperature and saturation the best I could to show you the true color, but you might want to check it in person if you're unsure about the shade. At $24, it's very fairly priced for a high-end makeup product. 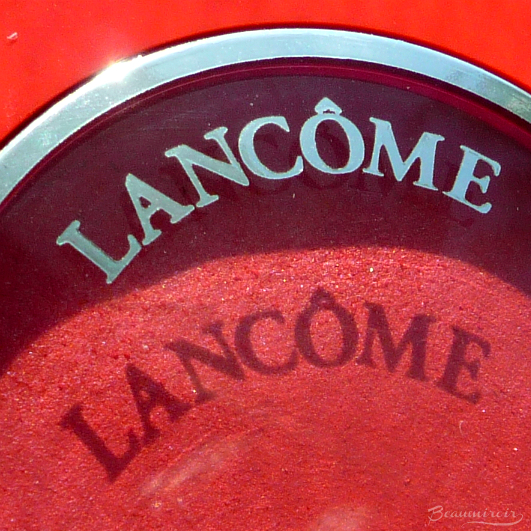 The Blush Subtil Crème is, according to Lancôme, supposed to impart a "healthy glow". I wonder if something got lost in translation here, because in French it's a "belle mine" effect, meaning a healthy-looking complexion, and this blush doesn't have any sheen. Don't be fooled by the description, this is not a product with a glowy or dewy finish, and it would work very well on oily skins. When you look at it in the pot, it seems to have a bit of shimmer, and while some silver particles are visible when swatched, it looks mostly matte on the cheeks. 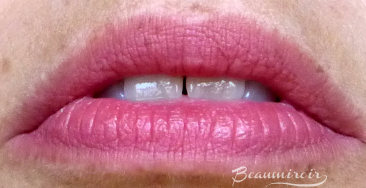 Just not a flat, dull matte, but a soft matte with a little bit more dimension to it. Blush Subtil Crème has a spongy, mousse-like, ultra-thin texture that's completely weightless. There's a slightly wet sensation to it that disappears during application, and when it dries down it feels like you don't have anything on your skin. I know this is said of a lot of light products, but it's actually the most accurate description here. Once applied, it's texture-less. This is not a cream-to-powder product, nor does it feel creamy on the cheeks. It feels like there's nothing on the cheeks at all. It fuses with the skin, kind of like a cheek stain, and once it's there, it lasts forever. Blushes typically don't last very long on me (I have this terrible habit of touching my face), but this one won't budge till the end of the day, with only very minor fading. Now that thin as air, slightly drier texture has a downside: this is not the easiest product to blend. The absence of any creaminess to the formula makes it harder to apply with fingers, my favorite method for cream blush application. It has a tendency to stay where you first put it, and moving it around requires some elbow grease. It's much easier to soften and blend with a brush, preferably a synthetic brush with dense and moderately firm bristles. I've used a pointy kabuki for precise application and a slanted fluffy brush for a more diffused look, and both worked beautifully. 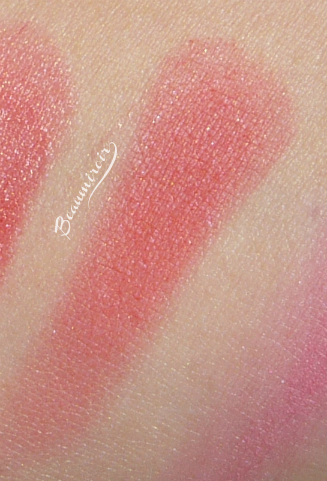 Corail Alizé is super pigmented, all the swatches that you see in this post are with ONE swipe, so it's easy to overdo. Start with the tiniest amount and build up to the desired intensity, it's very easily buildable. 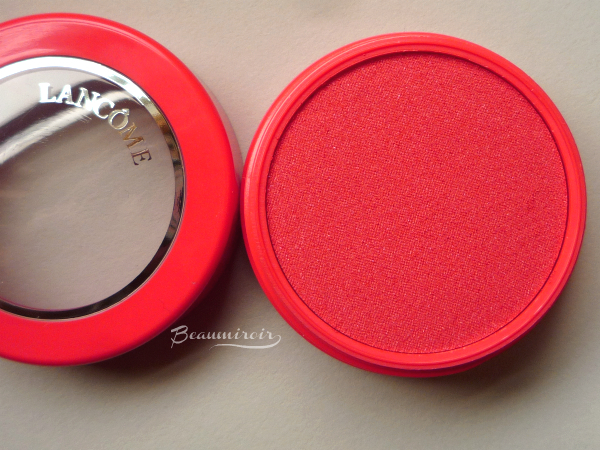 On my light and warm skintone, Corail Alizé is a bright red coral that creates a healthy flush. Despite the vibrant color, it turns into a more natural looking fresh cheek on me. This shade really makes me look radiant, healthy, refreshed, and youthful. People tell me "you look good today" when I wear it, thanks to the brightening, uplifting effect. Hard to capture in pictures, but trust me when I say that I haven't seen my face brightened up by a blush like this in a long time! Bonus track: you can use Corail Alizé as a lip stain. In fact, I'm surprised that Lancôme didn't make this a "lip & cheek" product. Hmm maybe the colors are not lip safe according to FDA/EU standards? Anyways, I tried it on the lips, and it wasn't as dry as I expected. Of course it will emphasize any flakes and cracks, but it didn't dry out my lips, and looked like a beautiful reddish coral stain, again with zero visible texture. Does this little pot with a screw top remind you of another recent product? Clue: cat. Yeah? Maybe you guessed, the Blush Subtil Crème pot is exactly the same as the one the Shu Uemura Shupette blush came in a few month ago, except in the color of the content vs. white for the kitty. Since the products looked so similar, I wanted to compare their textures and finishes. 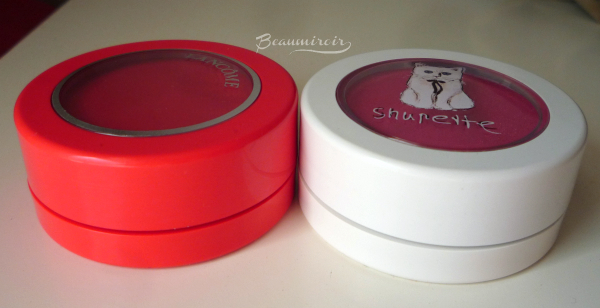 While they're undeniably related, the Shupette blush is creamier and has a pearly finish, while the Lancôme version is slightly drier and looks more matte. Overall: Lancôme Blush Subtil Crème in Corail Alizé is a rare true coral shade in a completely weightless and long-wearing "cream" formula. It works best applied with a brush, but I'm happy to give up my usual fingertip application for the beautiful brightening effect it has on my face. Where to buy? At your department store or online on Nordstrom (free shipping, and they have a 10% price-matching offer at the time of this post, which brings the price down to $21.60!). 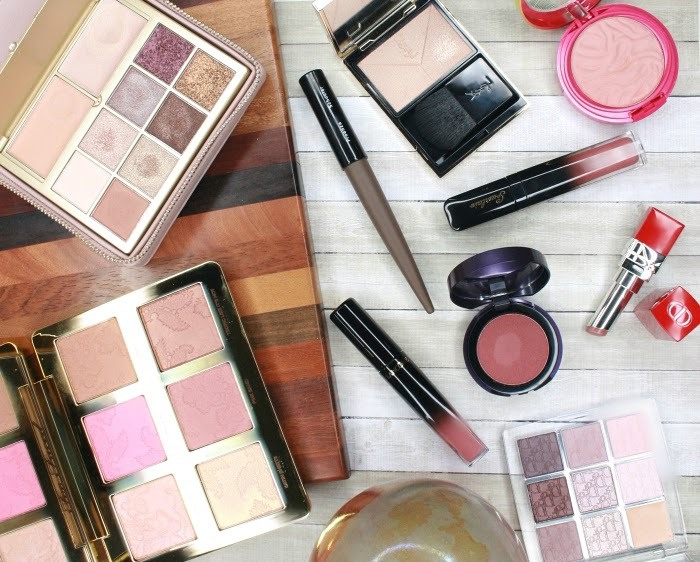 I loved the look of the whole collection, but it was the cream blushes that intruiged me the most. Me too! The rest was a little more classic Lancôme. 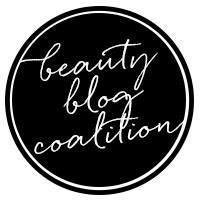 Have you tried this blush or the other shades yet? Hi lovely, this is great blush! Locate products are amazing, great quality!. Thank you! I really like how it brightens my complexion. OOO Lulle, thanks so much for the review! I've been curious about these but haven't really had the time to look into them. Glad to hear the formula is such a winner! 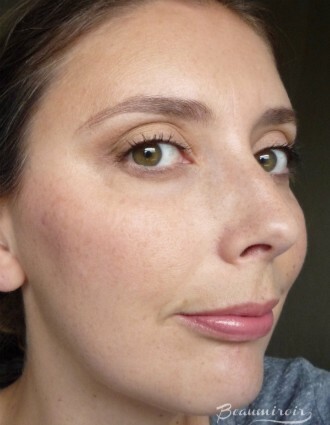 I like a good long-lasting brush, and I LOVE coral :) It does look super natural on you! You're welcome! 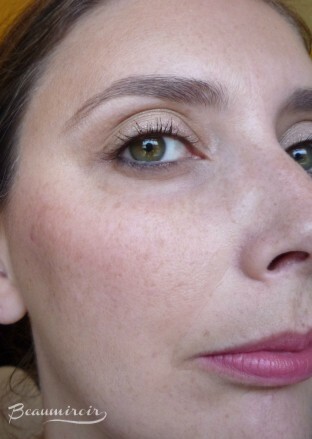 The formula is perfect if you like a weightless, no-texture blush. My lazy self just wishes I could apply it with my fingers! Never think about the other blushes when you're shopping. NEVER! I am alllll about corals so I really like this shade! The formula sounds really lovely. And I love the finish, it's so wearable. It is very wearable for such a bright reddish shade. You should try it on if you have a chance! Red-toned shades of blush are my favorite, it's a color many are afraid of, but it really looks natural on many skintones.